Fifty-five days of self-rule; if only it had been 55 years! 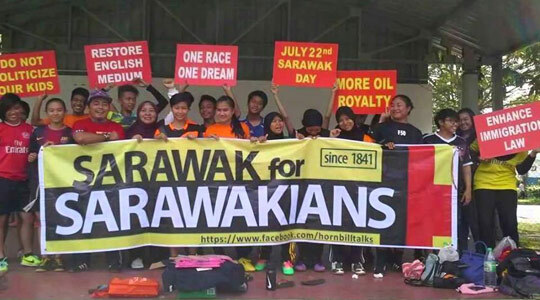 BLAST FROM THE PAST: There is no separating observing Sarawak Independence Day on July 22 and the unity call ‘Sarawak for Sarawakians (S4S)’ because on that date, for the first time in history Sarawakians were given the right to self-rule. On that date in 1963, Sarawakians were given Sarawak. Real self-rule maybe brief, 55 days in fact – as on Sept 16, 1963 Malaysia came into being and Sarawak agreed to be part of the newly-formed federation. But its significance cannot be denied. The White Rajahs ruled Sarawak for slightly over a 100 years from 1846 – when the first Rajah James Brooke came with guns, or canons rather, blazing, putting the fright of his life of Brunei Sultan Omar Ali Saifuddin’s Sarawak governor, Pangiran Makota Rajah Muda Hassim – to 1946, when Sarawak was made a British Crown Colony. In the years leading up to July 22 1963, several very important developments took place, one of which was the passing of the Local Authorities Ordinance in 1948, which allowed the people to participate in the administration of their local areas through their representative councillors. The first local council elections by secret votes were held for the Kuching Municipal Council in November 1956, and by 1959, following a Constitution drawn in 1957 by the third Governor, Sir Anthony Abell, Sarawak’s first “general election” was held when Sarawakians went to the polls to elect the councillors of the local authorities. The 1957 Constitution, contained, among others, provision for the make-up of the Supreme Council, which advised the Governor on government policies approved by the Council Negri, and saw to it that they were implemented; and provision for the Council Negri composition – 18 official and 24 unofficial members. Among the official members were the Chief Secretary and those appointed by the Governor to represent certain sections of the community, while the unofficial members were drawn from thosewho won the district council elections. It was basically a government by the Local Authorities, although by this time politics had already had a strong influence in determining the results of elections, whether internal or public. The first political party, Sarawak United People’s Party (SUPP) was established in 1959 followed by Parti Negara Sarawak (Panas) in 1960, and Sarawak National Party (SNAP) in 1961. Members of the two parties and those politically emancipated, who later went on to form such parties as Barisan Ra'ayat Jati Sarawak (Barjasa), Sarawak Chinese Association (SCA) and Parti Pesaka Sarawak (Pesaka), had their hands in these elections. Further changes were made to the Constitution in 1963. Among the provisions were a general election involving the political parties and the politically emancipated, and for the appointment of the Chief Minister who would be the leader of a political party with the most number of seats in the Council Negri. Elections were held between April and July 1963, and when the votes were counted Sarawak Alliance (a coalition of all parties except SUPP and Panas) won 138 seats, SUPP 116, Panas 59 and Independent 116. Rawlins wrote: “The Sarawak Alliance polled the largest number of votes although it suffered the defeat of some of its non-Dayak leaders. Mr Stephen Kalong Ningkan, the leader of Sarawak National Party, was called on by the Governor to be the Chief Minister and Head of the Government. Mr Ningkan chose five colleagues from Council Negri to serve with him as ministers on Supreme Council and to take responsibility for certain government departments. Mr James Wong (independent) became Deputy Chief Minister; Inche Abdul Taib bin Mahmud (nominated member) was given charge of Communications and Works; Mr Teo Kui Seng (nominated member) was given charge of Natural Resources; Mr Dunstan Endawi (Alliance) became Minister of Local Government; and Awang Hipni bin Pengiran Annu (Alliance) became Minister of State. It was to this group of Sarawakians led by Ningkan that Governor Sir Alexander Waddell handed over control of all government affairs on July 22, 1963. 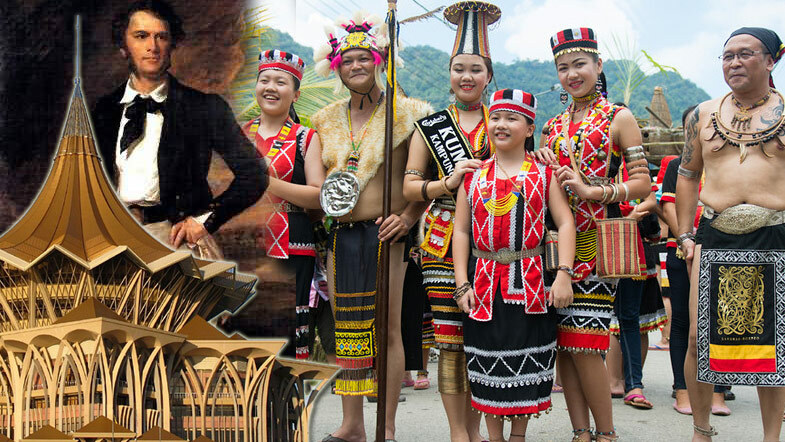 Thus begun Sarawak’s self-rule that, however, lasted for a mere 55 days. Brief as it may, it was 55 days of independence when the fate of a nation state and her people were in their own hands. Those 55 days in 1963 did not come easy. Notable was the death of Sarawak’s second Governor Duncan Steward in the hands of one of the “anti-cessionists” who called themselves “Brooke men” or “Sarawak men” or “Colony men”. This is why July 22 is very meaningful to Sarawakians who must surely look back at those 55 days in 1963 as the apex of their political struggle when Sarawak was given to Sarawakians. And so the continuing cry, ‘Sarawak for Sarawakians’. Unfortunately, they were never given the chance to really prove themselves. Self-rule was quickly overtaken by the formation of Malaysia, leaving Sarawakians to wonder if they would not have fared better if the 55 days had been 55 years! Siapakah Doris Jones dan apakah arah tuju perjuangannya?